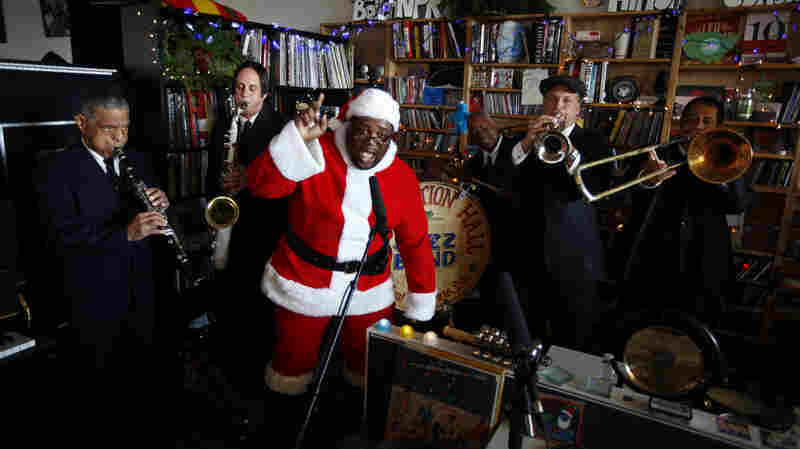 December 21, 2013  The hot and historic band from New Orleans brings us a tuba-wielding Santa and some original holiday cheer and praise — what its members call a Cajun Christmas from the French Quarter. 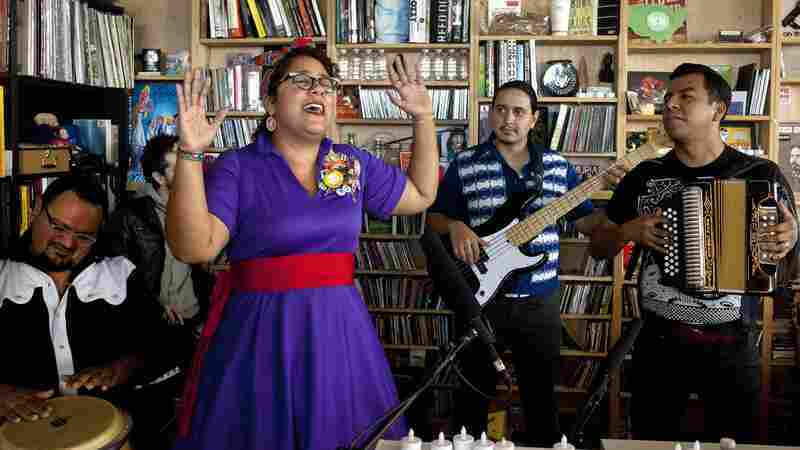 December 16, 2013  La Santa Cecilia spreads joy every time its members plug in to do a show. 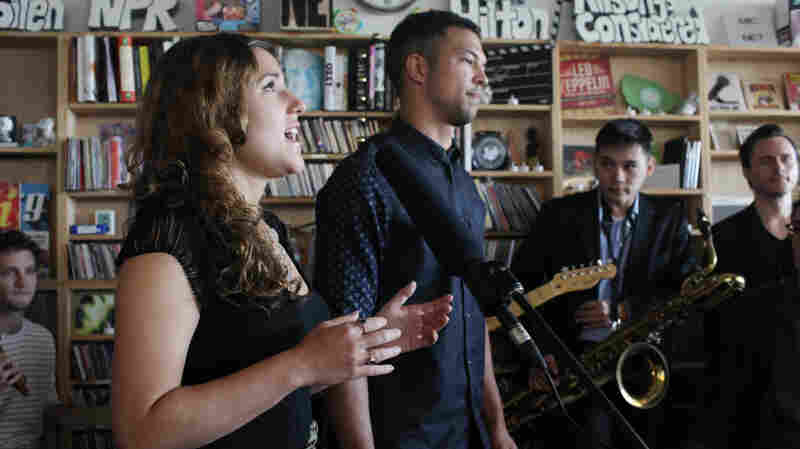 They do it one dance step at a time, with cumbias, corridos, elegant mambos and plain old rock 'n' roll. 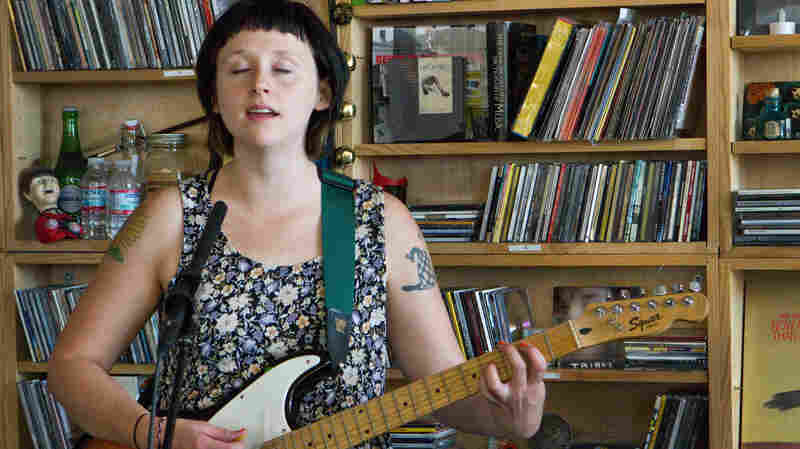 The video here provides just a hint of the band's dynamic live shows, albeit a spectacular one. December 14, 2013  Her voice feels old, but it's got power that's young and vibrant. In fact, Christine Salem sings songs that are old: They're work songs and chants from the maloya tradition on Réunion Island in the Indian Ocean. December 9, 2013  The rapper, singer, poet and songwriter performs three tracks from this year's Parts of Speech with the aid of a full band. 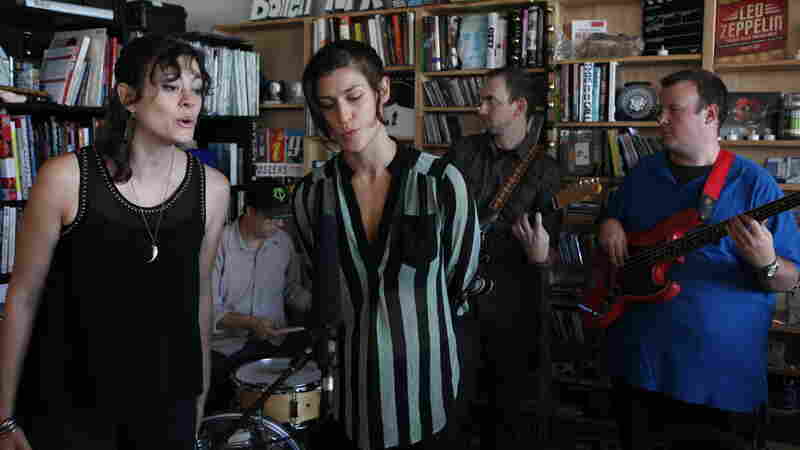 With backing vocals from Aby Wolf, Dessa overcame a bad cold to nail this forceful, whip-smart set. 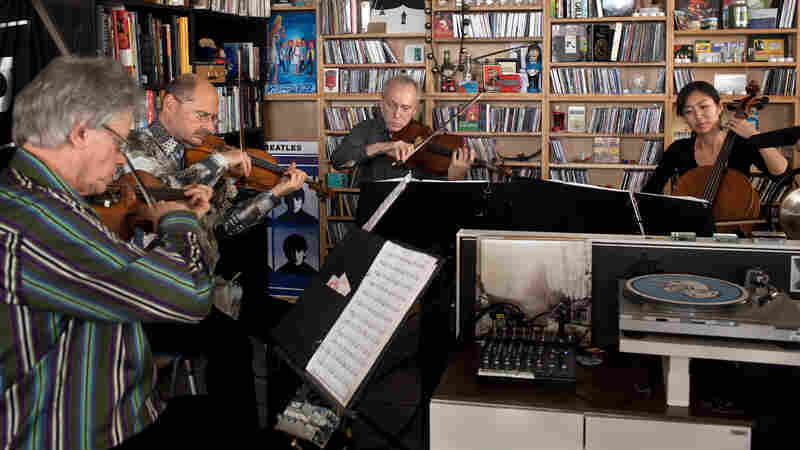 December 7, 2013  All polished young pros, Jarosz, fiddler Alex Hargreaves and cellist Nathaniel Smith breezed into the NPR Music offices to knock us out with a careful mix of technical proficiency and poppy warmth. 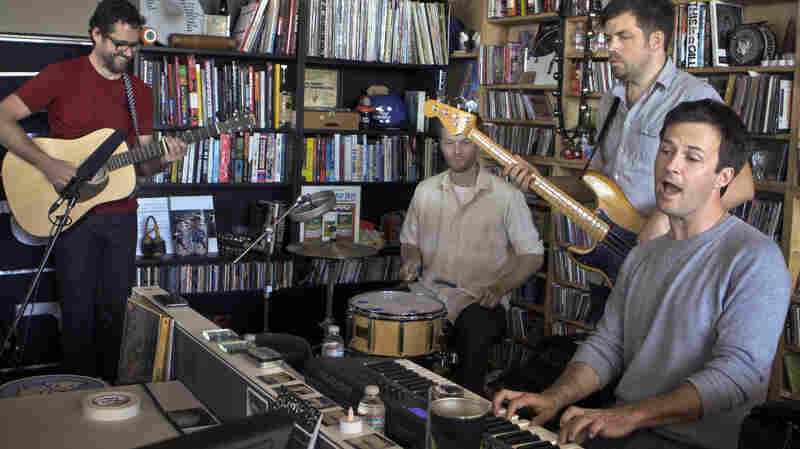 December 2, 2013  The recently reunited band's funky, fleshed-out sound wouldn't seem to lend itself to vastly stripped-down arrangements. But The Dismemberment Plan exudes playfulness and wry charm throughout these three songs from this year's Uncanney Valley. 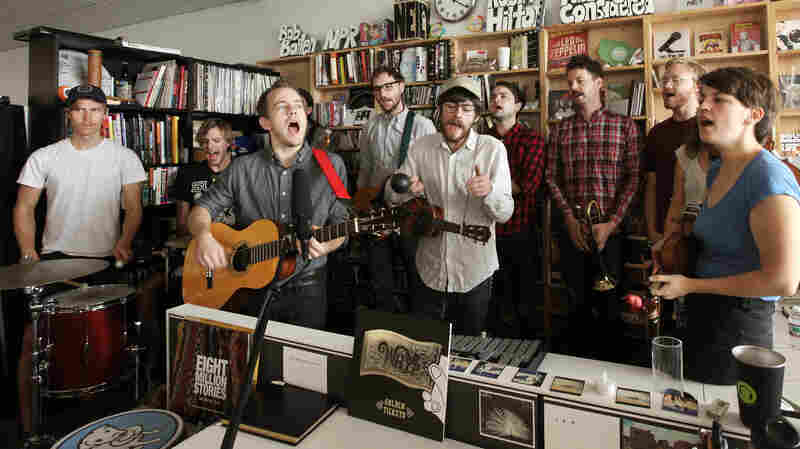 November 25, 2013  The intrepid champions of new music from around the world bring a lullaby, some rare blues and a recent work by The National's Bryce Dessner to the offices of NPR Music. November 16, 2013  The soul singer retains the easygoing grace of a performer fit for any stage — even a tiny one. 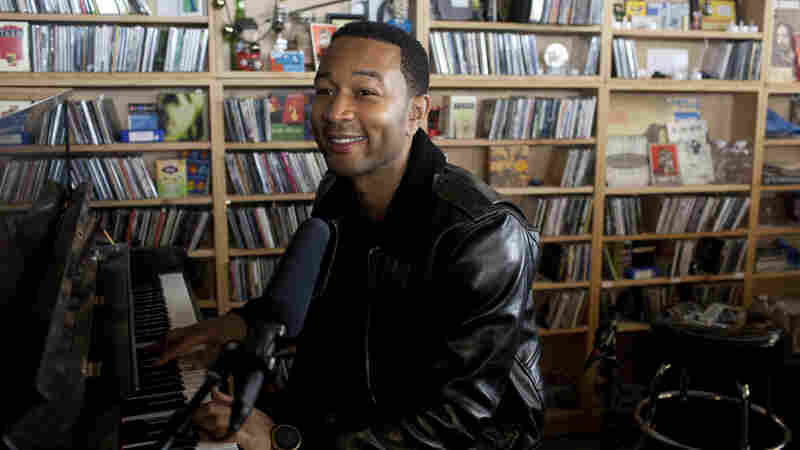 Here, Legend performs two songs from his album Love in the Future, as well as "Move," one of his contributions to the 12 Years a Slave soundtrack. November 12, 2013  The creator of the Hindustani slide guitar draws on a good deal of North Indian classical music, but you can also hear the blues pouring out of his stunning work. Here, Bhattacharya performs with his brother and daughter. 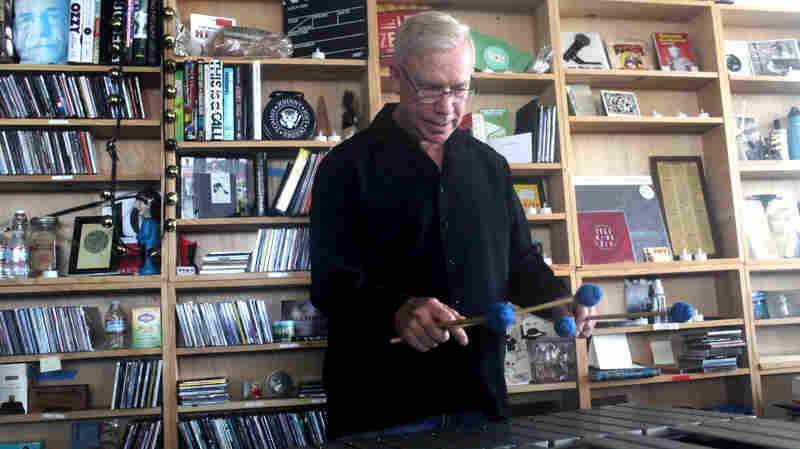 November 9, 2013  The jazz vibraphone pioneer played with Stan Getz and Chick Corea, was an early adopter of jazz fusion, and became the Dean of Berklee College of Music. 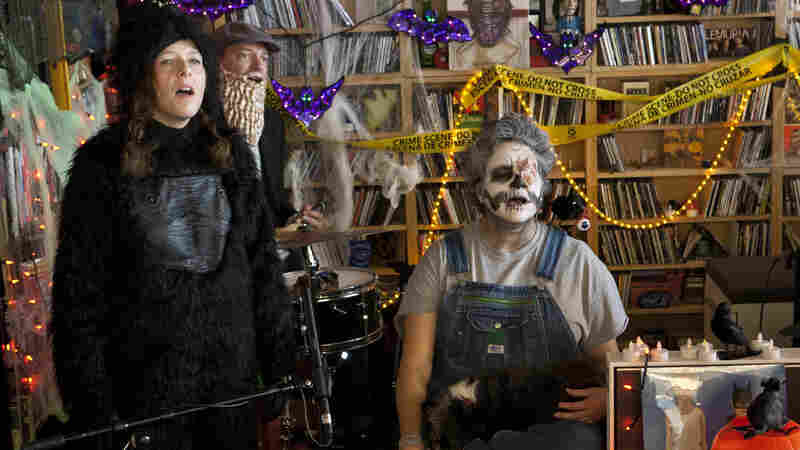 October 31, 2013  Watch a special Halloween Tiny Desk Concert in which a gorilla-suit-clad Neko Case performs alongside Kelly Hogan, as well as Eric Bachmann of Crooked Fingers and Archers of Loaf. 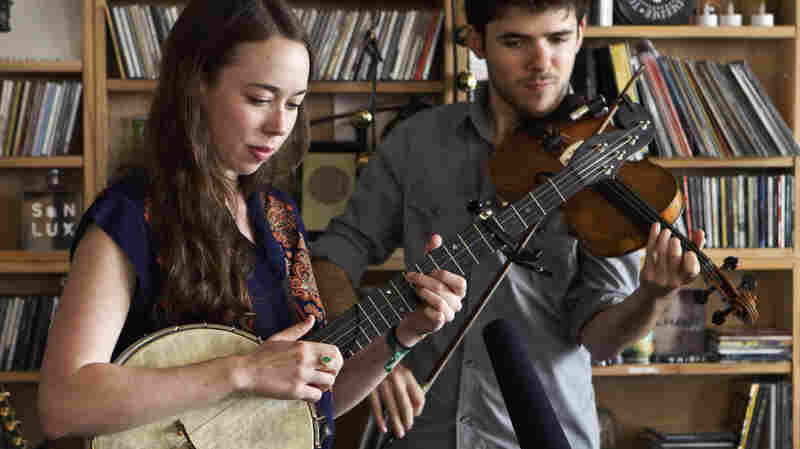 October 28, 2013  The orchestral folk-pop band's music bursts with ambition and extreme joy, and its self-titled debut is charged with great storytelling and rich vocals. Then there are the arrangements: little gems that turn these the songs into cinematic vignettes using trumpet, sax, keyboard, violin, guitar and drums.